The Craft Yarn Council (CYC) represents the leading yarn companies, accessory manufacturers, magazine, book publishers, and consultants in the yarn industry. For more than 35 years the Council has sponsored a wide range of promotional and educational programs, including its highly acclaimed Certified Instructors Program, Discover Knit and Crochet classes, and its popular I Love YARN Day event (the second Friday in October), which offers a virtual meeting place for the nation's knitters and crocheters. More details about these programs and many others are available at this web site and those of our members. To learn more about individual member's products, we encourage you to visit their web sites listed below. If you have questions about specific products, please contact the company directly. The Council staff does not have access to members' product information. Aksa is the world’s largest acrylic fiber producer with approximately 300 customers in over 50 countries across 5 continents. With more than 1200 employees, Aksa is Turkey’s only acrylic fiber producer with premises of 502 thousand square meters and a capacity of 315,000 tons per year. Spinrite manufactures an extensive line of acrylic, blended and natural fiber yarns for the hand knitting, crocheting and craft yarn markets. The company is known for its Bernat, Caron, Patons, Lily, and Phentex brands. Boye Needles and Crafts, a division of Simplicity Creative Group, manufactures a complete line of knitting needles, crochet hooks, gift sets, Learn To Knit and Learn To Crochet kits plus an innovative line of complementary accessories for crafters. Their knitting needles feature Boye Perfection Points® and the crochet hooks feature the unique Boye Tapered Throat®. Clover brings you the best in quality and value for all your craft projects, manufacturer of premium Knitting, Crochet, Needle Art, Sewing, Quilting, and Craft Notions. Clover Needlecraft, Inc. is located in Ontario, California and has five innovative engineers, based in Japan, who create the company's popular products. Clover brands include the Takumi Bamboo Knitting Needles. "Takumi" is the masterpiece of craftsmanship that is the product of carefully selected materials. Clover's many years of experience and accumulated technologies take full advantage of premium materials to create natural knitting needles and crochet hooks. The shape of our needle tip is a favorite among many. The smooth finish glides through your work and enables long periods of knitting without fatigue. Having a large assortment of products, Clover has been able to inspire and educate knitter and crocheters of the world. The Clover Web site (www.clover-usa.com) is a great place to find free project ideas and see all of Clover's newest products. Creativebug is an online learning community for DIY crafters producing high quality inspirational and educational videos. Creativebug is known for its all-star lineup of instructors and video classes that walk you through creative projects from start to finish. With classes in knitting, crochet, jewelry, multimedia, sewing, quilting and many more, there is something for everyone in Creativebug's growing library of hundreds of classes. Creative Partners provides creative design and pattern services to the yarn industry. Besides writing articles on yarn-related topics, we operate as a book packager producing books for a number of publishers. Over the past 5 years, the company has produced over 50 books for various publishers, such as Sterling Publishing, Leisure Arts, Martingale and Pottercraft. We provide all patterns, instructions and where necessary photography. Fisipe is a global company that is a major supplier of acrylic fiber to the U.S. to the hand knitting market and world yarn market. Leisure Arts is a leading craft publisher and distributor of “how-to” publications with emphasis on all types of needlework, scrapbooking, general crafts, cooking, and entertaining. Key skill sets include crochet, knitting, quilting, and the Knook—with emphasis on “Teach Me”. The Leisure Arts proprietary product line also includes craft kits designed for teaching and entertaining. Our publications support a wide variety of craft products such as yarns, fabric, beads, duct tape, parachute cord, and deco mesh. For more than 40 years, Leisure Arts brand has consistently ensured inspiration, timely design, and reliable instructions. Through creative projects and ideas, customers of all ages are invited to discover and enjoy “the art of everyday living” by making crafts a satisfying part of their lives. Since 1878 Lion Brand has been creating quality yarns at affordable prices—and helping knitters and crocheters turn them into fabulous fashion statements. Whether your style is classic or cutting edge, we've got a pattern that's just right for you. And with more than 800 fashion forward colors and 54 fabulous fibers to choose from you're sure to find the look you love. 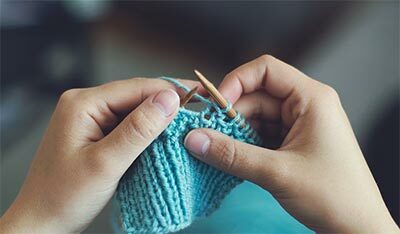 We know that knitting and crochet is more than just a hobby—it's a soul soothing, style-satisfying means of creative expression. Our highest priority is to support you in every way possible to ensure your satisfaction. We offer a catalog of inspiring yarns and patterns, full customer service and support by email and phone and an active online presence. www.lionbrand.com is your go-to resource for over 2,700 free patterns, tips, tutorials, videos and other learning tools, as well as charity and club finders. Get a behind-the-scenes look into this family-owned company at Lion Brand’s blog or listen in on pattern recommendations, exclusive interviews, and great tips with the YarnCraft podcast. You can also follow us on Twitter or become a fan on Facebook. Everywhere you find us, we are ready to help you enjoy your yarn crafting. LoveCrafts builds online homes for crafters, with flagship sites www.loveknitting.com and www.lovecrochet.com. LoveCrafts fosters the creative journey of knitters and crocheters from inspiration to making all the way to sharing their completed project! The company has over 90,000 patterns available for instant download in their pattern marketplace. With a huge variety of yarns and other supplies, knitters and crocheters can easily purchase the materials they need to get making as soon as inspiration strikes! Free how-to videos & blog content help the ambitious crafter develop new techniques to keep advancing their skills. And when they're all finished, they can share their completed project on loveknitting.com and lovecrochet.com with a like-minded community of fellow crafters, sharing their sense of accomplishment while inspiring others! The Meridian Specialty Yarn Group are manufacturers of straight, novelty and plied craft yarns from natural, synthetic and recycled fibers. Yarns can be producer, package or space dyed and can be packaged on cone or ball with a commission balling service available. Prime Publishing operates a rapidly growing network of websites, social media and e-mail consumer newsletters in the niche content areas of cooking and crafting. The craft group includes www.FaveCrafts.com, www.AllFreeCrochet.com, www.FaveCraftsRadio.com, www.AllFreeCrochetAfghanPatterns.com, www.FaveCraftsBlog.com, www.StitchandUnwind.com and www.AllFreeKnitting.com. 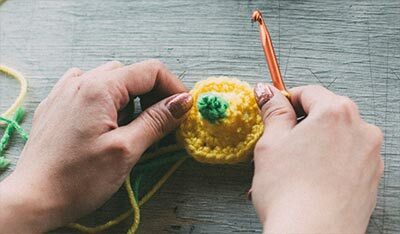 The company has over 4.3 million active subscribers who look at more than 6.7 million crochet, knitting and related craft projects every week. Consumers may sign up for free content newsletters, enjoy the benefits of a niche community and receive project ideas, patterns, product resources, branded product information, contests and more. Hooked On Crochet from AllFreeCrochet.com features free crochet patterns, tips, tricks, lessons and more. Knit Picky Patterns from AllFreeKnitting.com includes free knitting projects, knitting ideas, tips, patterns, weekly giveaways and more. Laying It All Out from AllFreeCrochetAfghanPatterns.com contains free afghan patterns, tutorials, tips, tricks and more. Quick and Crafty from FaveCrafts.com in every daily issue features free craft projects, craft ideas, tips, patterns, beautiful photos, and more. The company is advertising supported like radio and television. TNNA is an international trade association that represents nearly 2600 Needlearts professionals. Members include wholesalers and retailers, as well as designers, publishers, manufacturers and manufacturers' representatives of quality needlearts materials and supplies. Established in 1974, TNNA is a non-profit trade organization dedicated to the advancement of needleart quality, understanding and promotion through trade shows, education, public relations and professional programs. TNNA offers How To Books distributed to retail members through their wholesale members. There are four books including How To Knit, Crochet, Needlepoint and Embroidery. These are available at TNNA Retail Member shops. Shops can be found on the website under the retail directory.